← How to Find and Fix Roof Leaks? One of the most annoying problems at home would be that of a showers which leaks. And we are sure you would agree with us on the same, which is why it is always advised to check for leaks at an early stage to avoid further “Costly” harassments. What Causes a Shower to Leak? 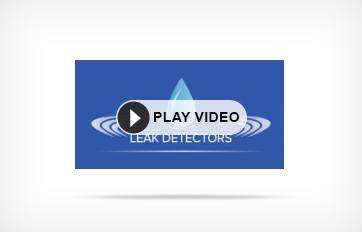 If you ignore water leak detection from leaky showers, you not only would be doing harm to the environment around, but would end up with a mammoth bill ahead. The timber surrounding would get damaged when saturation happens. Mildew and fungus makes home in such places, adding to decay and timber weakening. It is but tough to search for clues, especially if it is not visible to the naked eye. One has to also check on how long has the leaking shower been a problem. If it has been ignored for some time, there could be dampness around, especially on the outside of the walls. The problem indications would be found there. This would also help with finding where the leak began. There is always a solution to everything annoying, and instead of waiting for the leaking shower to create more havoc, it would be best to have an expert plumber come around and inspect the situation. The plumbers chosen should be licensed and experts at what they do. They should test the pipes, check seals, water pressure and apply sealants as and where needed, and help you with recommendations on how to manage water leak detection. One should also check what the home insurance policies say about leak detection, would it cover the water damages or not. This entry was posted in Leak Detection and tagged shower leak, water leak. Bookmark the permalink.